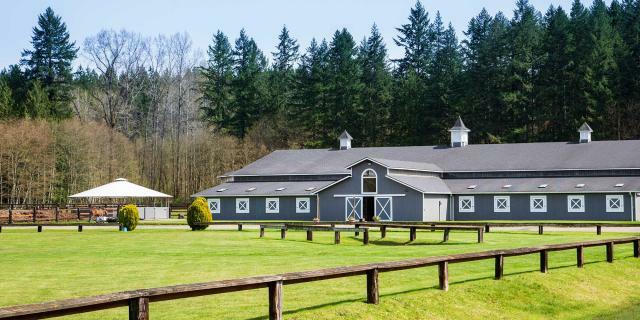 Idyllic pastoral retreat with world class equestrian amenities on nearly 20 acres. Gated entry; updated 1902 3-bedroom farmhouse; guesthouse with garage + carport; 2-bedroom workers' residence; separate office; 3 immaculate barns with 33 horse stalls; indoor and outdoor arenas, and expansive viewing field. Gravel lanes traverse exquisite grounds with verdant pastures, old fruit orchard and tall conifers. Rare sanctuary abutting salmon stream and miles of trails only minutes from Redmond amenities.